Your search is over! 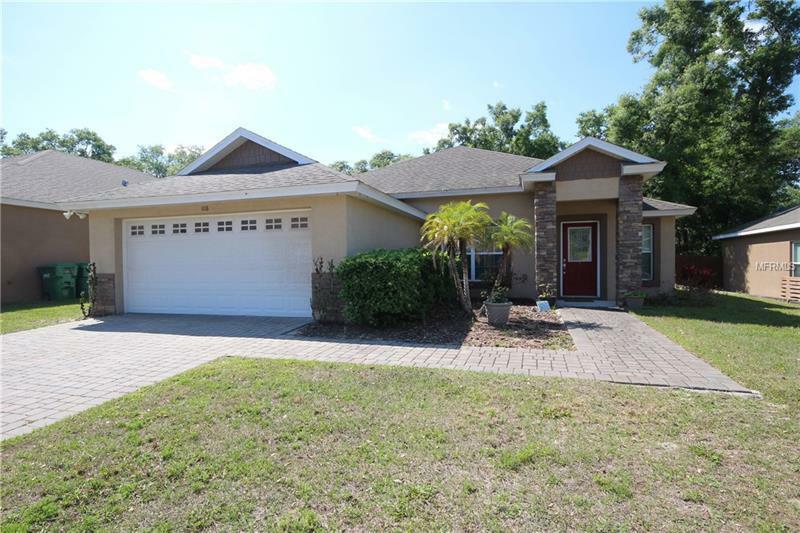 This Stunning “Like New” 3 bedrooms, 2 baths home is located in Woodland Ridge, a beautiful new subdivision conveniently located in south DeLand. The home features a spacious open floor plan with split bedrooms, vaulted ceilings and lots of natural light. The homes gorgeous upgraded kitchen features granite counters, solid wood cabinets, stainless steel appliances, breakfast bar and Island. The master bedroom includes a large walk in closet complete with custom shelving, double vanity with granite top, garden tub and large walk in shower. The treed backyard is fully fenced which provides complete privacy from the homes covered lanai. The quality construction and upgrades abound in this home including concrete block construction, Low E double pane windows, stone accents, spacious back porch, architectural roof shingles, and brick paver driveway. Great Location! Close to I-4, local shopping, dining and only a 30 minute drive to the beaches. Don’t wait this home is will not last!